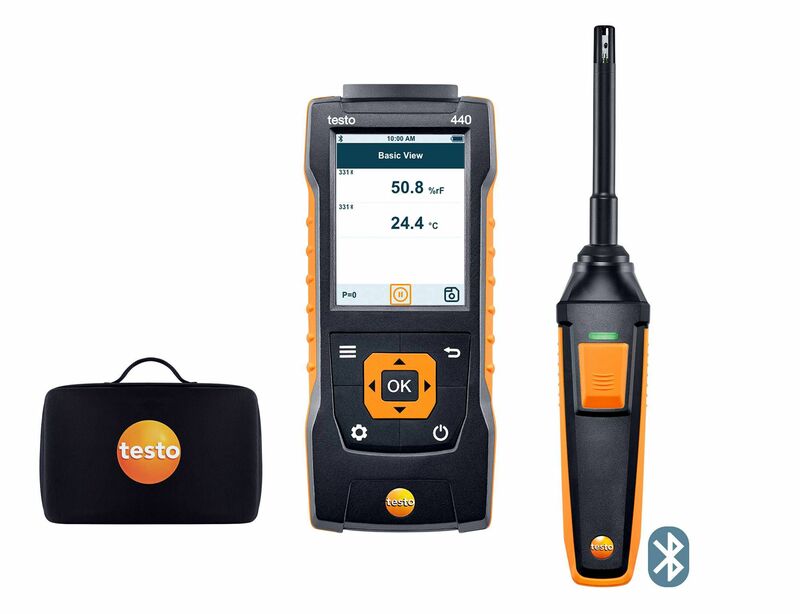 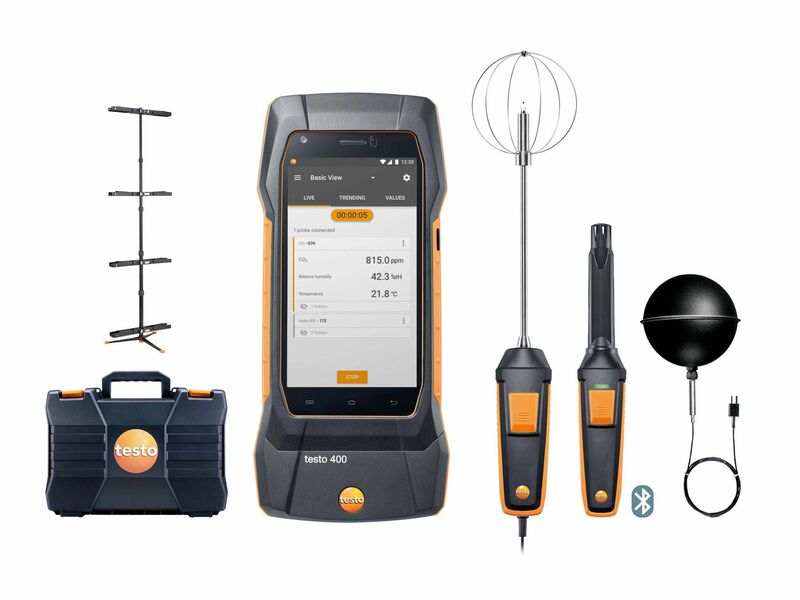 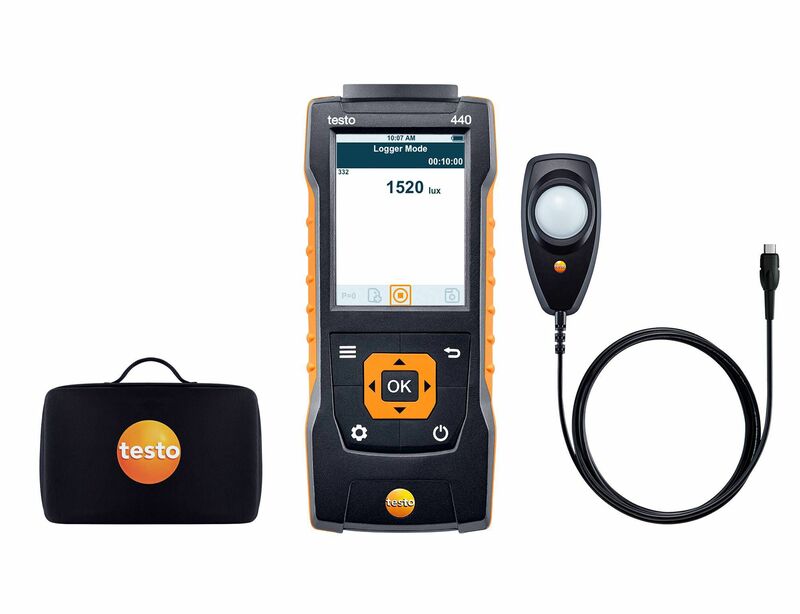 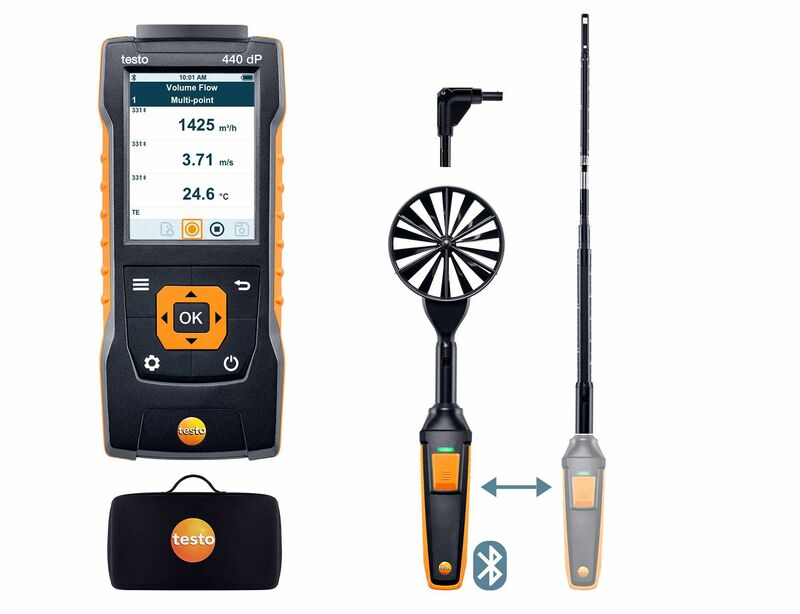 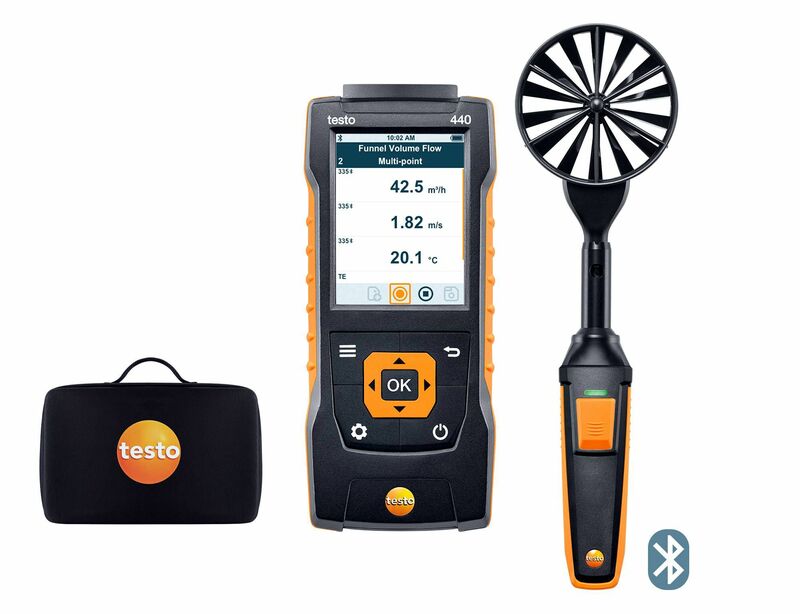 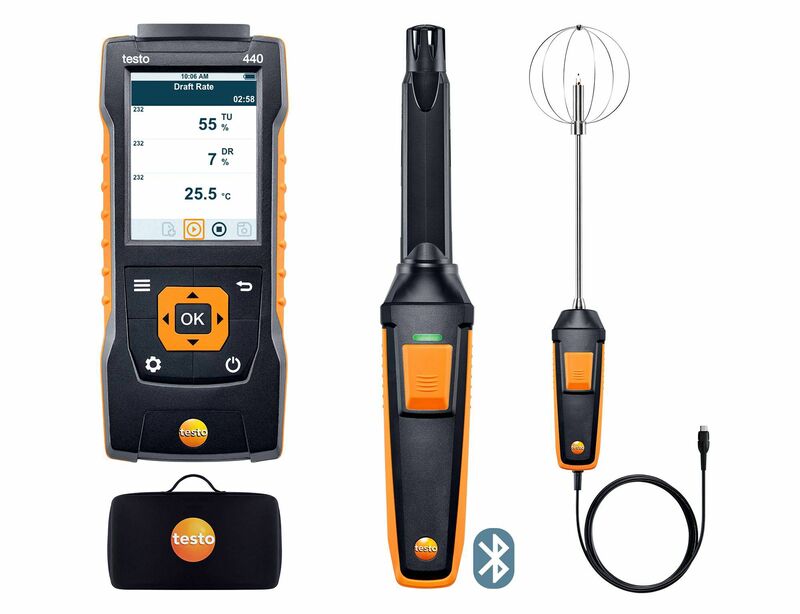 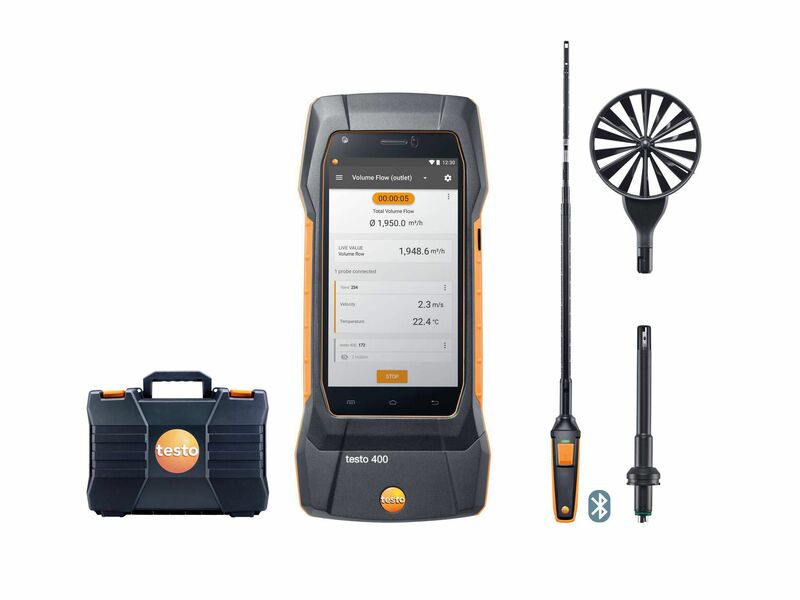 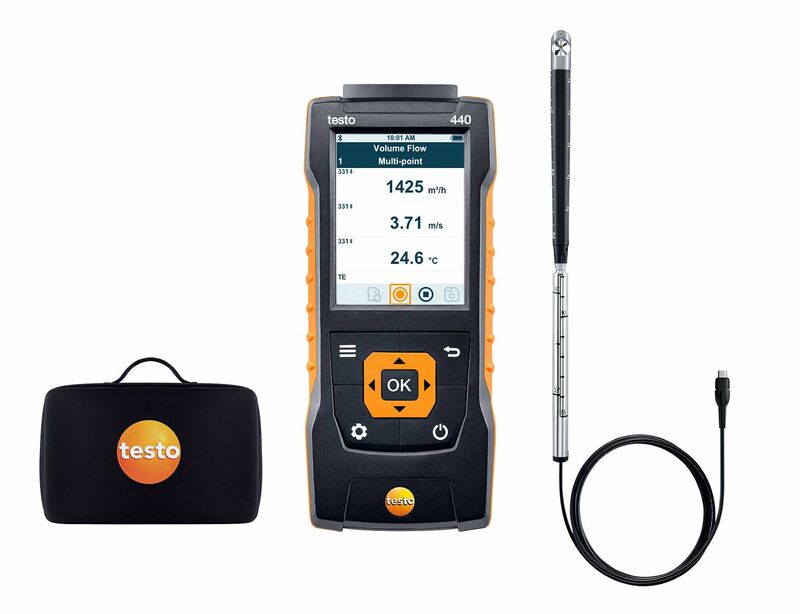 Use the hot wire probe with the compatible testo multifunction measuring instrument (please order separately) to determine air velocity, volume flow and air temperature. 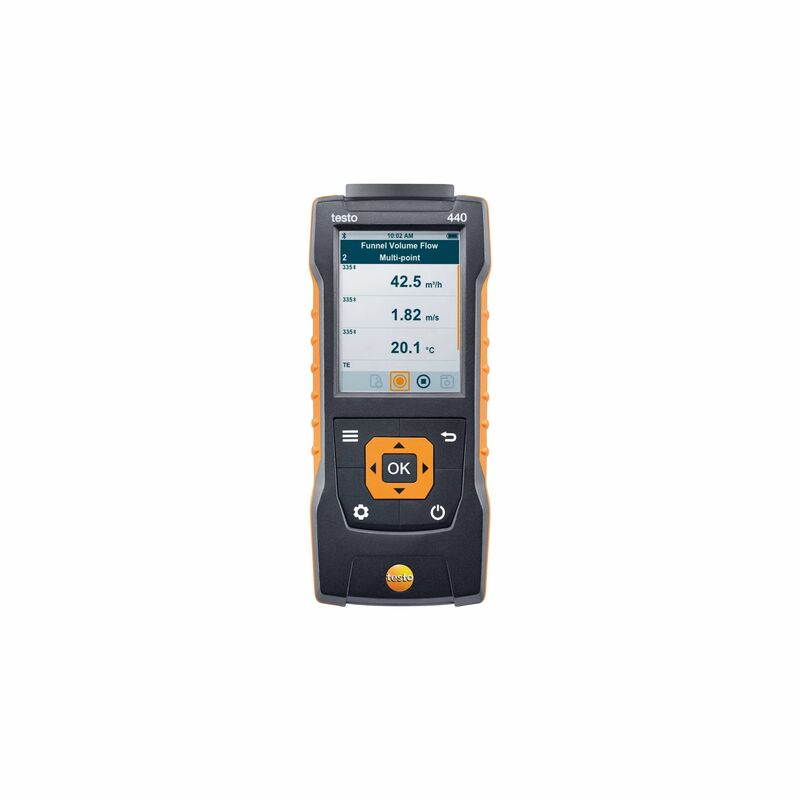 Use the fixed cable to connect the hot wire probe to the measuring instrument. 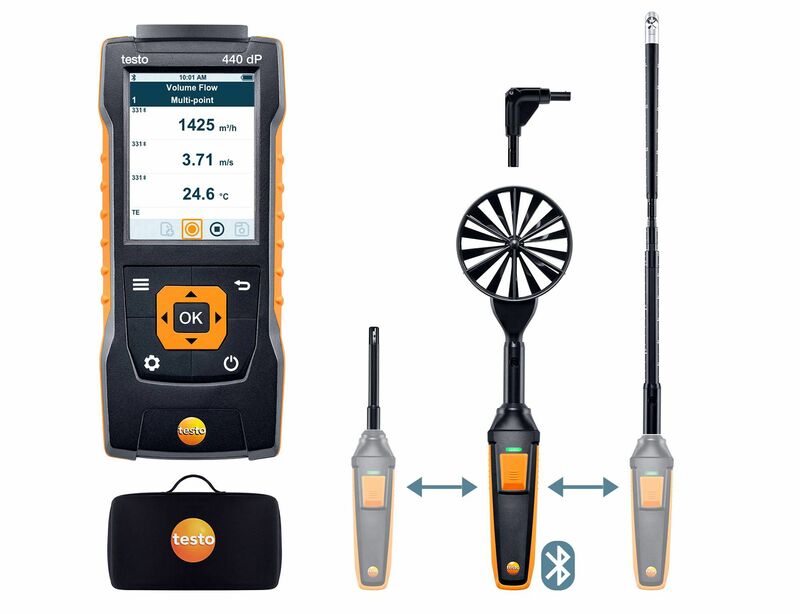 The probe is equipped with a telescope, which can be extended to a maximum length of 0.85 m. To ensure accurate measurement results, air density compensation is carried out via the integrated absolute pressure measurement. 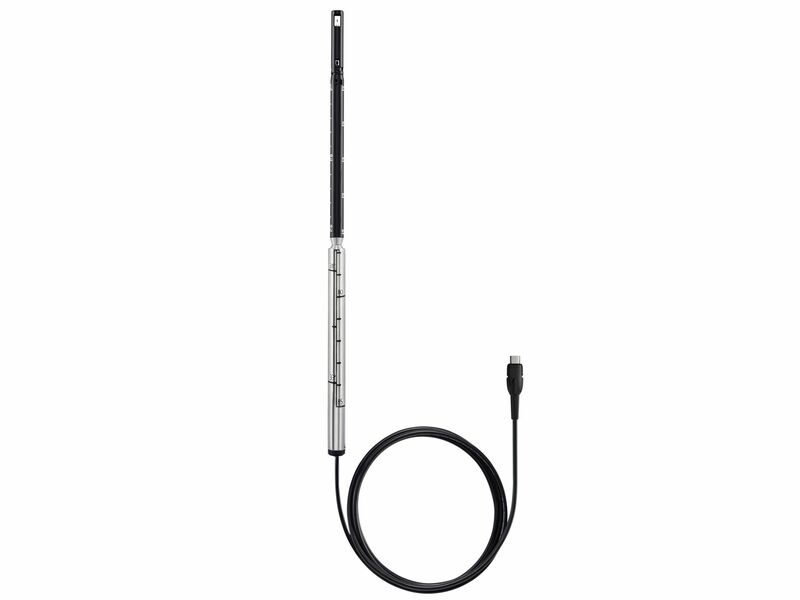 Integrated sensor protection: when you are not using the hot wire probe, the rotatable protective cap protects the air velocity sensor from dirt and mechanical stress. 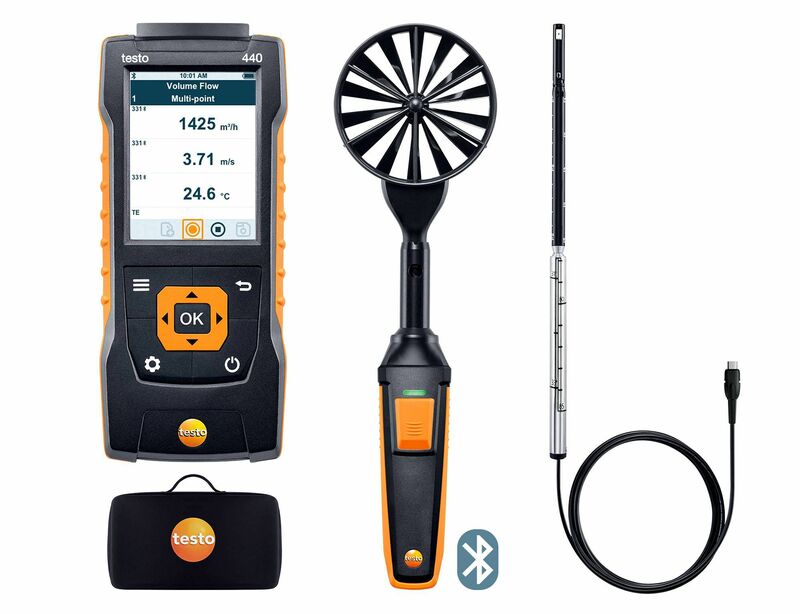 Ventilation ducts: Use the hot wire probe to measure air velocity and air temperature in ventilation ducts with reliability. 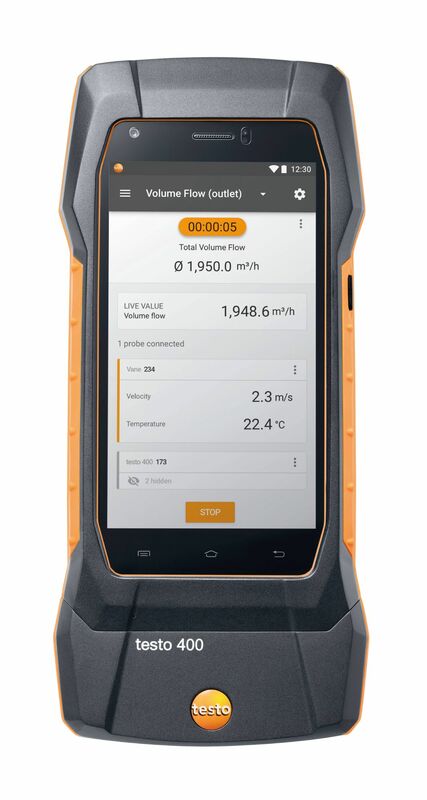 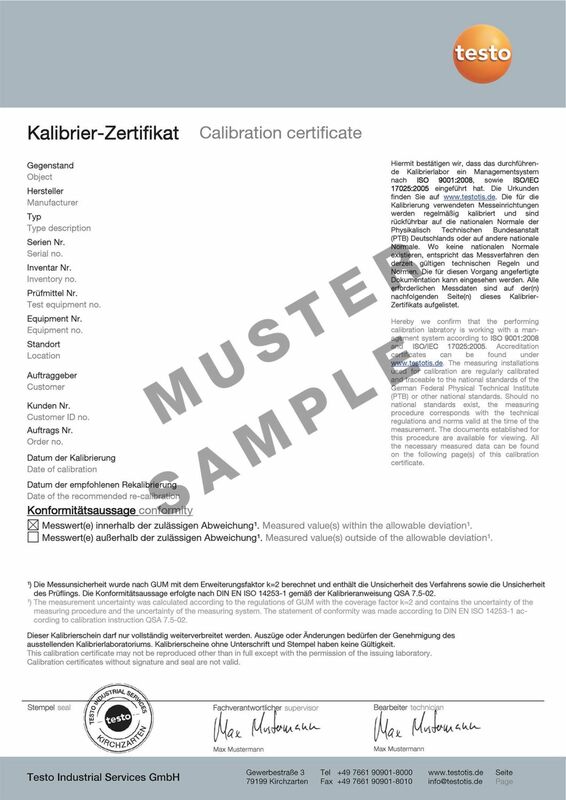 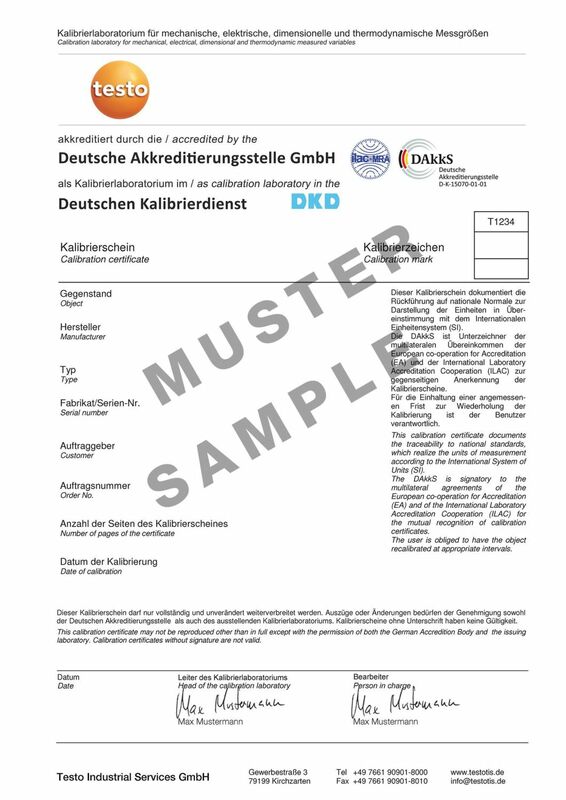 Benefit from fast calculation of the volume flow: in the “volume flow” measurement menu of the compatible measuring instrument (please order separately), configure the dimensions and geometry of the duct cross-section – the measuring instrument shows you the volume flow straight away. 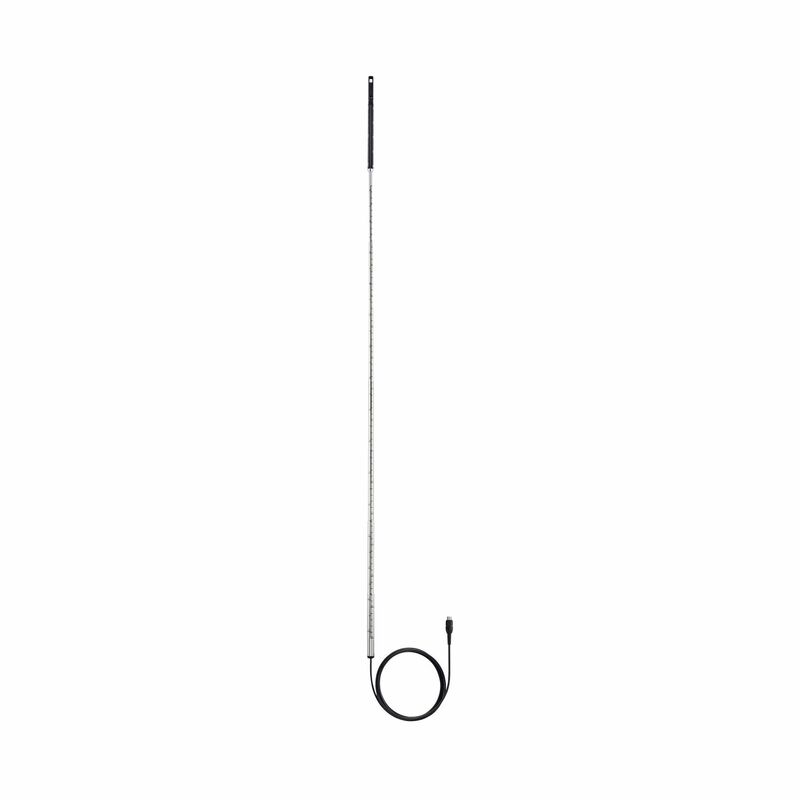 Hot wire probe (Ø 9 mm) with fixed cable (length 1.7 m) including temperature sensor, with telescope (can be extended to 0.85 m) and calibration protocol.